We are very pleased to announce that A.H.T. 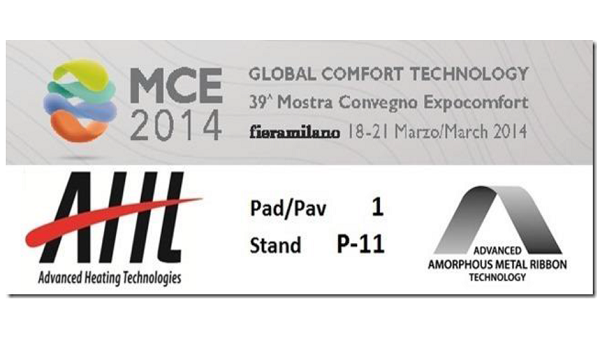 Advanced Heating Technologies Ltd will be participating at the MCE Mostra Convegno ExpoComfort Exhibition, which will be held from the 18th – 21st March 2014 in Italy, at FIERA MILANO. We look forward to welcome you in HALL 1 – STAND P11 to demonstrate the new extensive AHT product range as well as exchange useful information regarding our future plans. We look forward to see you in Milan.